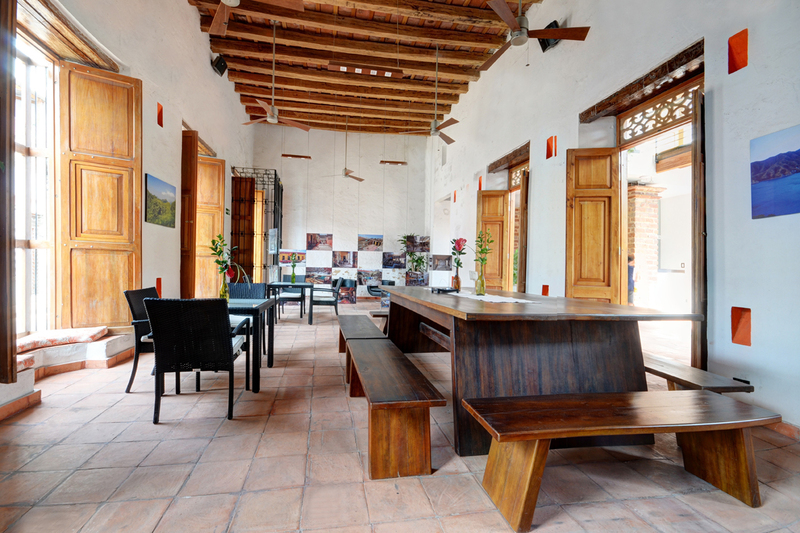 The next time you are staying at Hotel Boutique Casa Carolina take a day to visit Taganga. 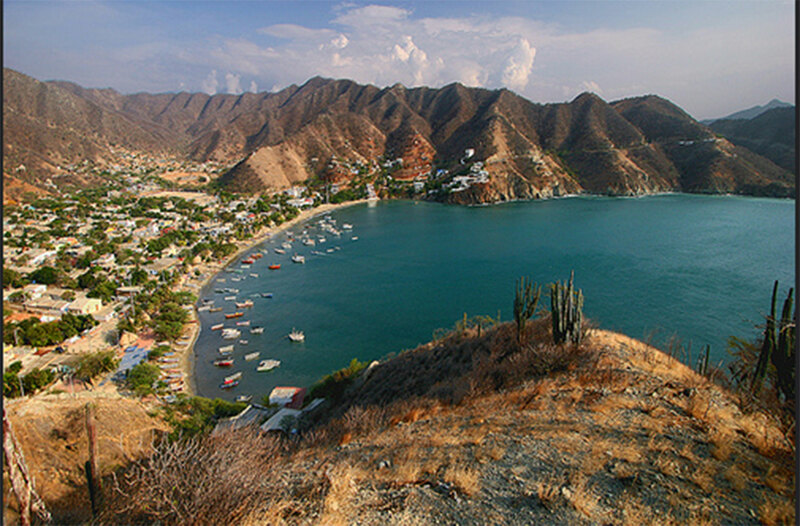 Taganga is a fishing village that lies on the Santa Marta coast. It is only a 10-15 minute drive from our hotel. In recent years Taganga has really progressed. 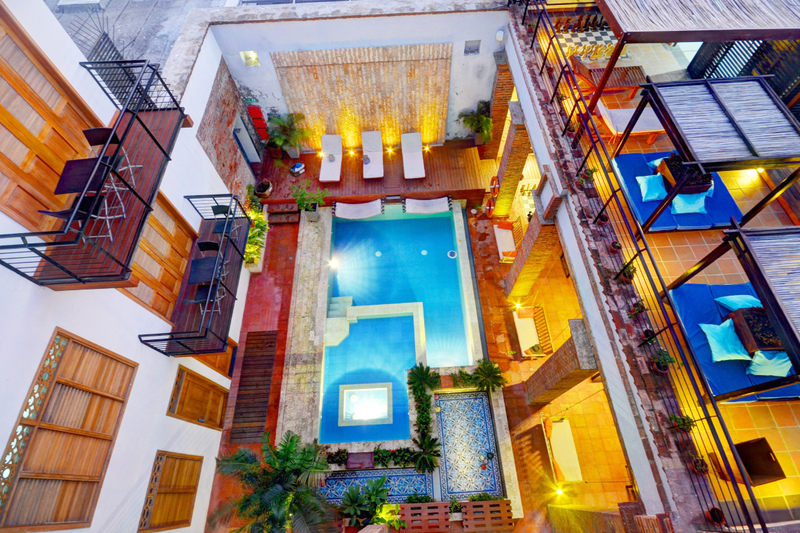 A number of restaurants and dancing nightclubs have opened up with a decent selection of hostal and hotel options. Scuba diving has become very popular here with dozens of scuba diving schools on offer. Getting certified from these schools takes a couple of days, and they are known to be very economical compared to other scuba diving certification schools around the world. There is a wide variety of tropical fish to see with offshore reefs and wrecks to visit, Tanganga and the surrounding bays boast a diverse marine life. If you’re looking for a more peaceful option of sunning and relaxation, with softly shelving sand and calm warm waters, Playa Grande is the option for you. There are two ways to get to Playa Grande beach; you can take a 5 minutes boat ride from Taganga or you can walk 20 minutes from the cliff that closes the bay. The hike has an amazing view from the top, but there are very occasional problems of tourists being asked for money or even being robbed, so just be aware, don’t take valuables, and stay in a group. We have done the hike numerous times with no problems. Playa Grande is one of the more popular beaches for tourists, so don’t be surprised if it’s crowded, especially on the weekend but great for local people watching. Playa Grande is a spacious beach where you can lay out in the sand and get a nice tan. A new hotel-resort, Ecohabs Taganga, offers high quality accomodation perched on the cliffs about Playa Grande. 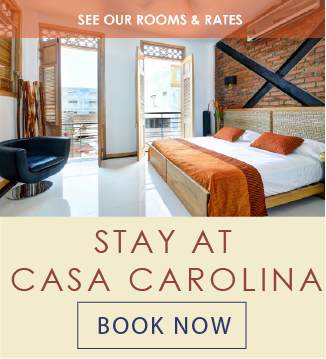 Bungalows with a modern design and facilities, restaurants, bars, swimming pools and beach access make Playa Grande a very desirable place to spend the day or longer. Fishing is still a big part of Taganga. Every morning and evening the local fishermen get on their boats and head out to work the coastal waters. You may even speak with the fisherman about tagging along and trying to catch some fish. You’ll be able to catch red snapper, barracuda, shark and albacore. Taganga is a peaceful and sunny beach. Tanning, eating fresh fish, and drinking amazing fresh fruit juices are some ways we like to enjoy Taganga. 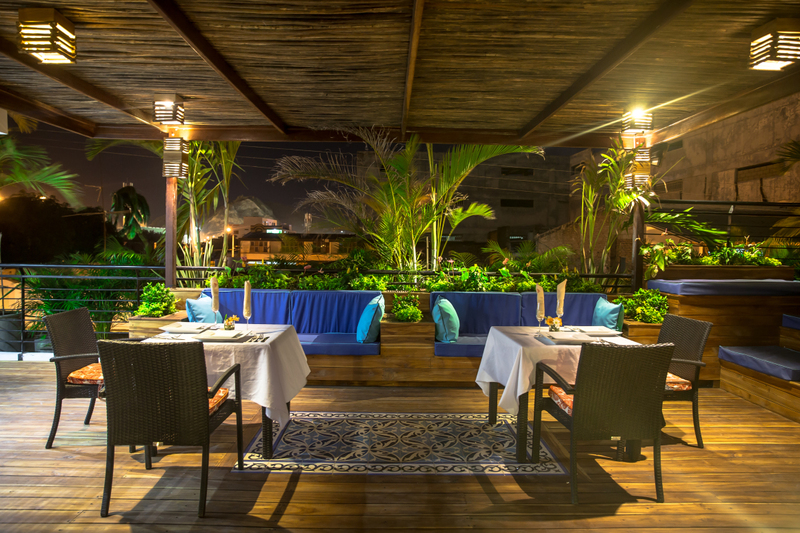 A sunset meal metres from the Caribbean sea tops the day off. 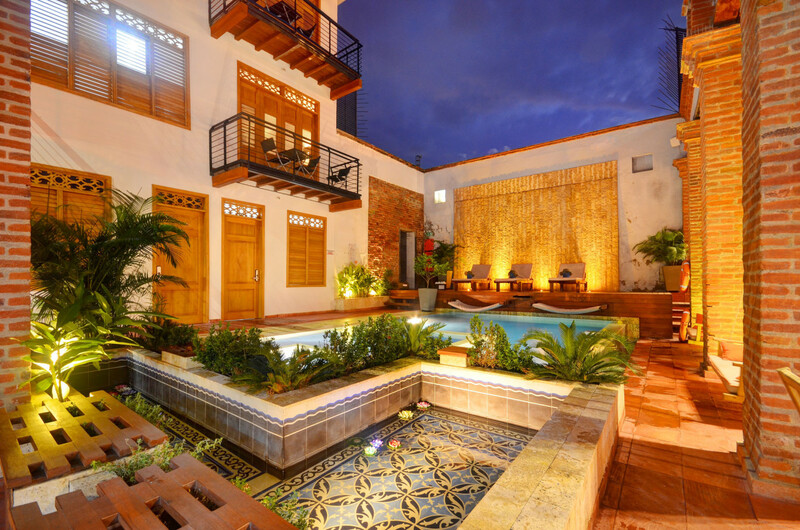 A short drive from Hotel Boutique Casa Carolina and you will find yourself a step closer to paradise. Perfect for a getaway with your significant other or for a great day of family fun. If you’re interested in a private boat tour to Taganga or other fantastic beaches, please contact us.